50% more printing space for tab titles than traditional tab dividers. 50% more printing space for tab titles than traditional tab dividers. 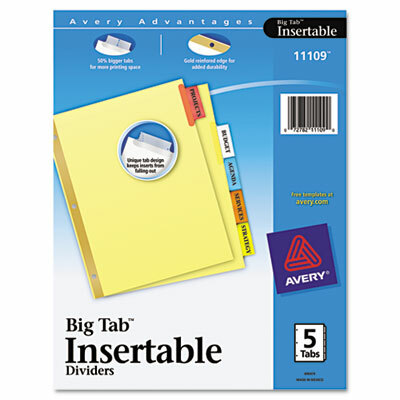 Special tab design allows easy insertion and removal, but keeps insert securely in place. Three-hole punched for use in standard ring binders. Laser and inkjet printer compatible.